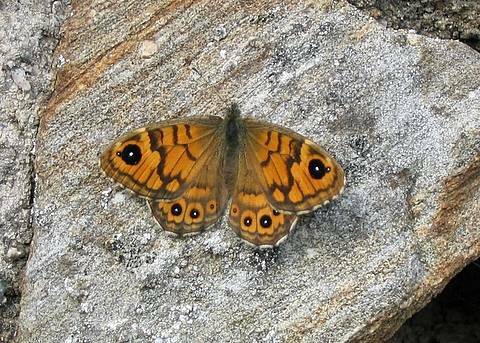 The Wall Brown, as its name suggests, spends much time settled on old walls or other surfaces. 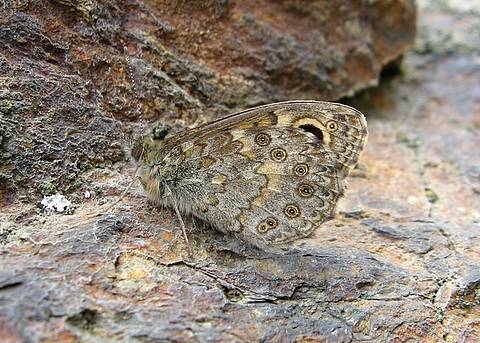 On alighting it often holds its wings open for a short moment before flicking them closed, when the mottled grey colouring disguises it well against the masonry. It is a common garden visitor and nectars avidly on a variety of flowers. 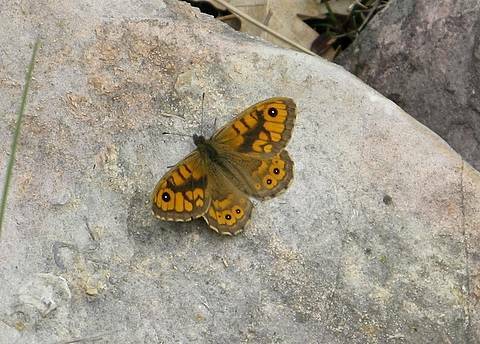 In the south of France the butterfly is quite easy to confuse with the orange subspecies of Speckled Wood at first but the Wall’s orange zones are much more extensive, especially in the female.